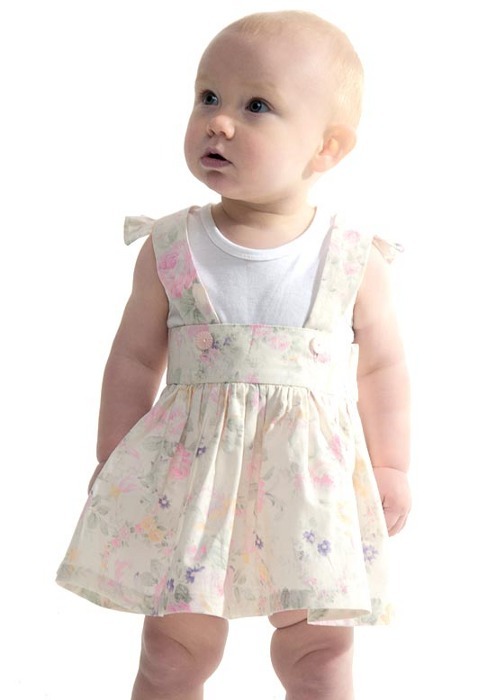 I am a complete lover of vintage and retro inspired clothing for my daughter. If it resembles clothing design and an aesthetic from the 50s or 60s, I’m the first in line to buy it – or covet it. That’s why I’m over the moon with the brand new Australian clothier Dear Charlotte, Love Banjo (such a wonderful moniker). Perth-based design duo Sally Roberts and Emerald Leach are the masterminds behind the exclusive, limited-run 50s inspired clothing for babies. From newborn to size one, the small range includes divine floral and pastel blue dresses for the girls and stunning blue overalls and onesies for the boys. Their ‘Everyday Heirlooms’ range says it all: it’s heirloom quality clothing with a modern touch but doesn’t have to be reserved for special occasions. They can be worn every day! Now if only they made clothing for bigger kids. I’m wishing and crossing fingers. The online shop for Dear Charlotte, Love Banjo will be up and running in early September so prepare your keyboard to do some purchasing. This is one for your wishlist so you can come back and purchase when the store has launched.